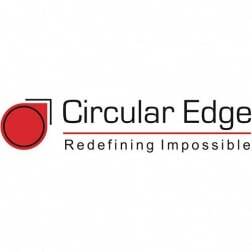 In 2017 Circular Edge was recognized as the Oracle JD Edwards Partner of the Year in the category of Customer Focus for overall Customer Success Stories. Smart Help, our award-winning skill-based support formula, allows JD Edwards customers to tap into over 150 functional & technical skills and resources to optimize, automate & digitize business processes, manage & maintain their JD Edwards system and/or upgrade their way across any cloud by choosing from available services including skill-based swat teams, lift & shifts, continuous adoption, ongoing managed services, 24×7 support, global roll-outs, localizations, ERP/CX digital experiences, reporting, integrations, development, retrofitting, training/skills enablement, systems design, testing, enhancements, conversions and dedicated skills and resources on demand. Our JDE consulting and packaged solutions include Smart Scheduler (3x OVI), AtomIQ, JDESign, AutoXCHNG and Deal Flow Automation. Oracle CX Cloud add-ons include lead creation, lead distribution, CRM adoption, data quality, data migration, quotes, service requests, JDE coexistence. Oracle CX integration accelerators include JD Edwards, Engagement Cloud, CPQ, ATG/Web Commerce, Service Cloud & Sales Cloud.